Getting on your bike is a great way to commute to work or enjoy a cruise around town. It’s a pain, though, to get your bike serviced every year and having to worry about leaving it out in the world, even with a bike lock. 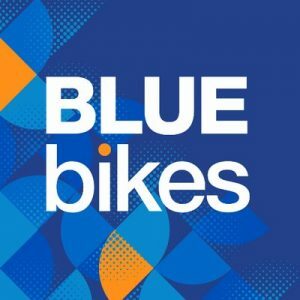 If you live in the Boston area then you’ve probably noticed a recent influx in rental bikes around your neighborhood. The competition is fierce among several bike-share and scooter-share companies working on a similar business model. To get started with a rental, all you need to do is download a mobile app on to your phone, pay for the rental and then you’re on your way. Download the app to pay for and unlock a bike. (Learn more about how the app works.) Single trips start at $2.50 and the first ride is free. You’ve probably already seen these bright yellow and green bikes all over some local towns. Lime offers both regular bikes and electric bikes. (Motorized scooters too but more on that later.) Just download the app on your phone and you’ll see bikes available for rent near you. The ability to leave your Lime bike anywhere seems preferable to the concept of having to return a bike to a bike rack like using Blue Bike. It will be interesting to see how the competition plays out especially with smaller entries like Ant bike and motorized scooters in the future. Single trips start at $1 per 30 minutes. Currently in Boston, there is an unfortunate bureaucratic situation regarding the legality of motorized rental scooters. Don’t count on renting one until next year at the earliest. Apparently, the scooters are required to have brake lights and turn indicators and none of the big scooter providers like Lime (www.li.me/electric-scooter) and Bird (www.bird.co) have scooters with those features yet.